You can protect wildlife, wild places, wild rivers, and the climate! Take action today! Your voice matters! Take action today. 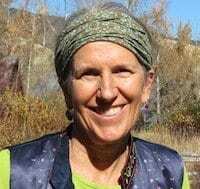 Judi Brawer joined WildEarth Guardians as the Wild Places Program Director in May, 2018. She's lived and worked in many places, including New Jersey, Vermont, Wisconsin, California, Colorado, Washington D.C., Montana, Bordeaux, France and Cote d'Ivoire. She finally settled in Boise, Idaho, where she's been for 18 years. Judi has a J.D. from Vermont Law School and a B.A. in International Relations from the University of Colorado, Boulder. 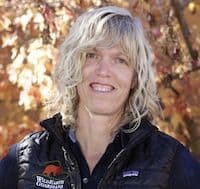 She has spent most of the last 20+ years working for and with non-profit conservation groups, including American Wildlands in Bozeman, Montana, and then as a staff attorney for Advocates for the West in Boise. She then opened a solo law practice where she represented a variety of organizations in land-use and public lands cases. 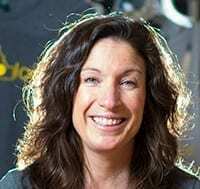 She's also dabbled in sales, marketing, social media, and personal training. Recently, she worked with Global Talent Idaho to help skilled refugees reclaim their careers and does pro-bono work helping refugees become U.S. citizens. In her spare time, Judi teaches a rockin' early morning spin class, and loves to hike with her dog, Dobby, mountain and road bike, ski, backpack, camp, and to just be outside listening to birds and hoping to see something wild. Madeleine Carey is the WildEarth Guardians’ Greater Gila Guardian. Born and raised in Albuquerque, Madeleine spent her childhood exploring the Rio Grande and its bosque on foot and on horseback. In May 2014, she graduated from Tufts University in Medford, MA with a degree in Biology and Urban Studies. 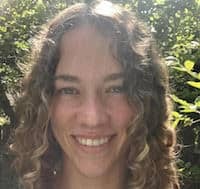 While at Tufts, she was a four-year member of the Track and Cross Country teams and a trip leader for the Tufts Wilderness Orientation program. 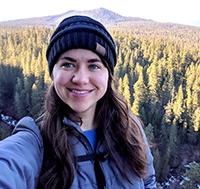 During college, Madeleine spent her summers working for the Bosque Ecosystem Monitoring Program, researching American Pika in the Valles Caldera National Preserve and working with NM State Forestry to create a post-wildfire assistance guide. An avid runner and pie baker, Madeleine is always looking for ways to combine adventures with brunch. Greg was on Guardians staff – most recently as Wild Places Program Director – from 2014-18. He now contracts with Guardians to advocate for the protection of bighorn sheep. 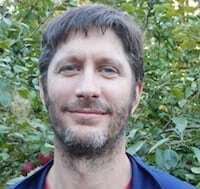 He got his start as an environmental advocate in Portland, Oregon, where he founded the group BARK after discovering old-growth clearcuts along the Pacific Crest Trail on Mt. Hood. Drawn to the beauty of Hells Canyon and the Wallowas in NE Oregon, he later ran Hells Canyon Preservation Council. 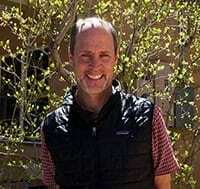 More recently, he was Executive Director at High Country Conservation Advocates in Crested Butte, Colorado. He has a J.D. from the University of Cincinnati, and in the distant past worked as a criminal defense attorney in Portland. He now lives in the beautiful Zuni Mountains of western New Mexico. 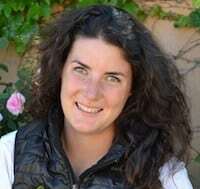 Becca Fischer joined WildEarth Guardians as a Climate Guardian in 2017. Her mission is to keep oil and gas in the ground to protect the climate. Becca grew up in Billings, Montana on the edge of Great Plains, and the beauty of the Big Sky state shaped her love of the environment and all types of landscapes. She received her B.A. in environmental science from Willamette University in Salem, Oregon but returned to Montana to work as an organizer for Northern Plains Resource Council following college. After five years as an organizer, she switched her focus to the law and obtained her J.D. at Lewis & Clark Law School in Portland, OR with a certificate in Environment and Natural Resources. She then worked as a judicial clerk at the Anchorage Superior Court in Alaska and encountered many moose before returning to the lower 48. In her free time, she enjoys all things involving water including triathlons, swimming, cliff jumping, and floating. She lives in the Denver area with her husband and orange tabby. Marla Fox joined WildEarth Guardians in 2015 as the Rewilding Attorney. Her work focuses on developing strategic legal advocacy to reclaim places for the wild and reconnect wildlife habitat and waterways across the American West. Originally from Minnesota, Marla spent her informative years swimming and fishing at the lake up north. She received her B.A. in Spanish and Biology from St. Olaf College in 2006 and her J.D. from Lewis and Clark Law School in 2012. 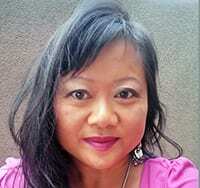 Marla worked as a legal intern with Earthjustice’s California office and Earthrise Law Center. Before joining Guardians, she got her legal feet wet as Legal Fellow (and later Staff Attorney) for the Northwest Environmental Defense Center. Marla likes to spend her free time exploring the west on backpacking trips, running, and gardening. Laurele joined Guardians in June 2016 as our Grants Manager. 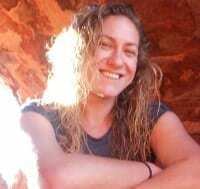 A California native, Laurele grew up swimming in the ocean off the Southern California coast, hiking and backpacking in the Sierras, and getting outdoors at every opportunity possible. She developed a passion for protecting wildlife and wild places at an early age, which ultimately led her to the Pacific Northwest. She holds a J.D. and Certificate in Environmental and Natural Resources Law from Lewis & Clark Law School, and a B.A. in Political Science from U.C. Santa Barbara. Laurele has fifteen years of experience in nonprofit management and environmental law and policy, bringing a unique combination of fundraising and program experience to Guardians. She has worked on a wide array of public lands, water, and wildlife issues, most recently as Policy Director for Cascade Forest Conservancy. Prior to that, Laurele directed the Northwest Center for Alternatives to Pesticides’ water and wildlife program and managed government affairs for Wild Salmon Center. 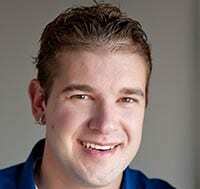 Kevin Gaither-Banchoff joined WildEarth Guardians in 2010 as our Development Director. Kevin moved to the southwest in late 1994 and has worked ever since to protect its biodiversity and wild nature. 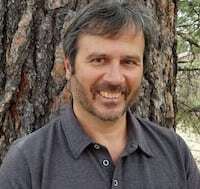 He has served as Development Director for both Native Seeds/Search and The Wildlands Project, worked as a fundraising and organizational development consultant for numerous local and regional conservation non-profits, and spent four years working as Executive Director for the Arizona Wilderness Coalition. Kevin enjoys sharing his vision for a healthy and vibrant western landscape with his family and friends, and the many wild critters that make this same land their home. Kevin lives in Tucson with his wife Kelli and two girls Abby and Allie, loves to camp, hike, garden and just be outdoors. Kevin has been a member of the Association of Fundraising Professionals since 1996. Annaliza Herrera started her career in the nonprofit sector in 2014. A native of northern New Mexico, Annaliza has a great love for the culture and beauty that she grew up with in the Española Valley. Annaliza earned her B.A. in Theater from the University of New Mexico after returning home from Los Angeles, where she did conservatory training at The American Academy of Dramatic Arts - West. Before joining WildEarth Guardians, she was the administrative services associate for the Santa Fe Community Foundation. Prior to that, she spent a brief stint as a pastry chef after earning a patissier certificate from Santa Fe Community College. Annaliza serves on the board of directors for Theater Grottesco, a Santa Fe-based theater company focused on creating new and daring performances. She enjoys creative writing, spending time with her cat, and traveling. John Horning was born and raised in Washington, DC and grew up on a street that bordered Rock Creek Park, one of the wildest urban parks in our country, where he cultivated an appreciation for the solace of wild spaces. He fondly recalls a childhood searching for salamanders, hearing Pileated wood peckers and watching fire flies light up summer evenings. Mr. Horning graduated in1989 from Colorado College, where he not only played football for four years (becoming the offense’s MVP his senior year) but also first developed a life-long appreciation for Wallace Stegner, the writer and the man. 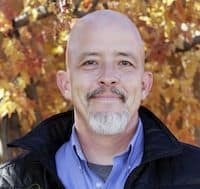 After biking around the country and then working for a variety of environmental education and advocacy groups he moved to New Mexico in 1994 to join the staff of what would later become WildEarth Guardians. He feels privileged to be a voice for the voiceless. Taylor Jones joined WildEarth Guardians in 2010 as our Endangered Species Advocate. She received an M. Sc. in Conservation Biology and Sustainable Development from the University of Wisconsin-Madison in 2010, where she was a member of the Carnivore Coexistence Lab. Before entering graduate school, she did a variety of conservation work in New Mexico and Colorado, including prairie dog relocation and riparian area surveys. She has been fascinated by animals great and small her whole life, from a childhood spent watching ants to a Master's thesis on the Andean bear. She intends to apply one of the Bodhisattva vows to her work with endangered species: "Beings are numberless; I vow to save them all." She also holds an undergraduate degree in visual arts from Brown University, where she originally decided to dedicate herself to preserving the natural world that continues to inspire her paintings. Taylor leads WildEarth Guardians' Protecting the Prairie Dog Empire priority campaign. Chris joined WildEarth Guardians in September, 2106 as our Public Lands Guardian. He will lead our Keep Public Lands in Public Hands campaign. His work will focus on preventing our commons from being treated as a commodity by those seeking to privatize the nation’s public lands via numerous schemes, including Congressional and administrative land trades and conveyances. Chris grew up playing in the fields and woods of his grandparents’ dairy farms in central Wisconsin. He received his J.D. from the University of Washington and his B.A. in Economics from Lawrence University. Prior to joining us, Chris was staff attorney for Western Lands Project for fifteen years. He enjoys camping and hiking with his family, as well as vegetable gardening and cooking. Dave Levine is WildEarth Guardians’ Communications Director. His personal passion is wild places. His professional passion is telling stories to change the world for the better. A psychology degree (and undergraduate and graduate work in earth and environmental science) from Wesleyan University and a mediation certification from the University of New Mexico Law School laid the foundation for intimately understanding people and what motivates them. Dave's nearly 20 years of professional experience creating communications for nonprofits, business-to-business and consumer clients nationwide means he excels at creating powerful brand experiences that move people. As a Guardian, he feels tremendously honored to integrate his lifelong passion and reverence for wild places with his professional experience to help protect and restore those ecosystems for generations to come. Out of the office, you may not actually see him, but his footprints and ski tracks lead to some of Colorado’s most rugged and remote wild places. Sarah McMillan grew up reading Ed Abbey by kerosene lamp at night and exploring the woods, rivers, and mountains of Montana and western Washington by day. She received her B.A. from Williams College and her J.D. from the University of Montana. Sarah is an avid hiker, locavore wannabe (notable downfalls include olive oil, licorice, Marmite, and black tea), and life-long environmentalist. 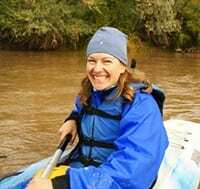 She has worked in private practice and with Western Environmental Law Center to protect the natural world. Her litigation background is broad—from the ESA, CWA, NEPA, NFMA, etc. to protecting Montanans right to a clean and healthful environment, to defending a citizen's initiative that effectively stopped game farm "hunting" in Montana. Caitlin Muret joined WildEarth Guardians as Membership Manager in April 2017. Born and raised in southern Kansas, Caitlin spent most of her time outside. Her favorite childhood memories are of playing in the small creeks that meander through her home county. She graduated from Kansas State University with BAs in English and Mass Communciations and spent the first part of her career at museums. She moved to Portland, OR to follow her dream of working for an organization that protects wildlife and wild places. 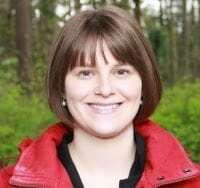 Caitlin currently volunteers as a Crew Leader for Friends of Trees, teaching Oregonians about the importance of planting native species to restore natural areas, especially watersheds. Her favorite place to spend her free time is outside in a hammock, reading a book with her schnoodle and listening to the birds sing. 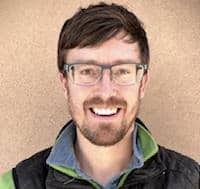 Jeremy Nichols joined WildEarth Guardians in 2008 as the Director of the Climate and Energy Program, taking action to fight fossil fuels, promote clean energy, slash greenhouse gases, and develop innovative strategies to safeguard the climate and the American West. Jeremy has been active in conservation advocacy since 2000, when he first started working with Biodiversity Conservation Alliance to protect forests, grasslands, and imperiled species in Wyoming and the Black Hills of South Dakota. In 2006, he founded and led Rocky Mountain Clean Air Action, a nonprofit that successfully held polluters, states, and the Environmental Protection Agency accountable to our clean air laws throughout the Rocky Mountain region. A native Idahoan, Jeremy made his way to the Rocky Mountain west to study geology at the University of Wyoming. He now lives in Golden with his family. Carol Norton is WildEarth Guardians’ Associate Director. Before coming to work at the Guardians, she spent over eight years working at Intel Corporation in Rio Rancho, NM in the information technology group as both a people and project manager. While there, she earned a Project Management Professional certification from Project Management International (PMI). Carol’s other positions have included running a family software business with her father, doing sales support for Apple Computer, and project management for the National Indian Business Association. Carol graduated from Brown University with a degree in Biology. Then she worked for the National Park Service for a year before starting a career in the technology field. She gladly returns to conservation—her true calling. Carol has lived in the Southwest since 1989 and has worked on a variety of issues here including land use and wilderness designation. Carol is an avid backpacker, hiker, and runner, which she does with her dog Paz whenever possible. Jen Pelz joined Guardians in March 2013 as the Wild Rivers Program Director where she strives to breathe new life into the endangered rivers of the West. Jen grew up in New Mexico exploring the mesas of Albuquerque, fishing and camping along the Pecos River and wearing her father’s waders to fish the Conejos River near Platoro every summer. She received her B.A. in Field Biology from the University of Northern Colorado in 1998 and her J.D. and Certificate of Environmental and Natural Resource Law from the University of Oregon School of Law in 2002. Jen was a co-director for the 2001 Public Interest Environmental Law Conference and was a clinic student for the Western Environmental Law Center. Jen practiced law for seven years at a small private firm in Denver, litigating land use, public lands and water law cases. She loves spending time with her husband and two little girls, tending her organic garden, and (slowly) remodeling her 1964 ranch home. Jen lives with her family in Colorado. Samantha Ruscavage-Barz is a senior staff attorney for WildEarth Guardians. 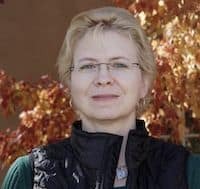 She received her juris doctorate from University of New Mexico School of Law in 2008, and her Ph.D. in Anthropology from Washington State University in 1999. Samantha joined WildEarth Guardians in 2010 after working as a staff attorney for Advocates for the West and a stint as a solo practitioner specializing in public interest environmental law. She focuses on curtailing fossil fuel development on public lands and protecting air quality. Samantha spent 17 years as an archaeologist in the public and private sectors before attending law school which led to her interest in advocating for and effecting protection of natural and cultural resources. 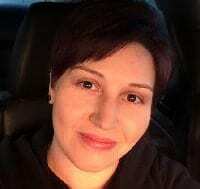 Sara Samovalov is WildEarth Guardians’ Content Writer & Specialist. Born and raised in the Chicago area, she began searching out wild places within driving distance (and sometimes beyond driving distance) as soon as she received her driver’s license. She attended college at Kenyon College in rural Ohio and then graduate school at Northwestern University, where she earned a master’s degree in journalism. On a fateful vacation in September 2013, she fell in love with Portland (it must have been all the wild mushrooms growing near Mt. Hood), and three years later finally fulfilled her dream of moving to the Pacific Northwest. Outside of work, Sara can be found hiking, running, cooking, writing and playing music, and devouring the local food scene. 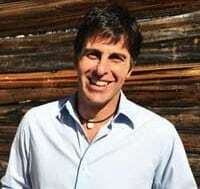 Chris grew up in the Sangre de Cristo Mountains from which he developed a rudimentary, but deep appreciation for natural beauty and ecological function. He earned a B.A. from Lewis & Clark College in Portland, OR, where he then began working as an organizer and environmental activist. After earning an M.A. in Religious Studies from the University of Chicago, Chris returned to Oregon to advocate for coastal forests and the human and wildlife communities that rely on them. 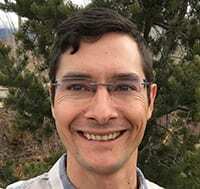 Thrilled to return to the high desert landscapes of his upbringing and to help protect the resilient wildlife of the area, he joined WildEarth Guardians in 2017 as the Southern Rockies Wildlife Advocate. 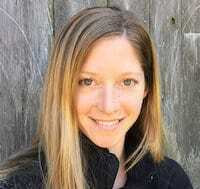 Rebecca Sobel is the Senior Climate and Energy Campaigner at WildEarth Guardians. The entirety of her professional career has been focused on social and environmental justice. Originally from Philadelphia, Rebecca feels blessed to call the Southwest her home. In 2006 Rebecca began working with Greenpeace as a Field Organizer, where she organized the March for Climate Action in Vermont with Bill McKibben. In 2007 she started with WildEarth Guardians as the Grassroots Director. 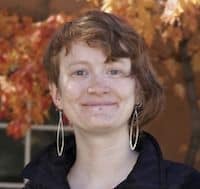 After some time away, including a stint as the Executive Director of the New Mexico Coalition for Clean Affordable Energy, she came back to Guardians in 2016. Rebecca has an indefatigable passion for this work and brings a wealth of experience to our organization. 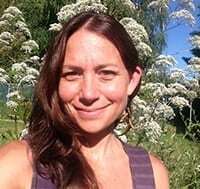 Marlies Wierenga is the Pacific Northwest Conservation Manager for WildEarth Guardians, serves under the Wild Places Program Director, and formerly served as WA/OR Coordinator for Wildlands CPR until their merger with WildEarth Guardians in 2013. Marlies has over a decade of experience using her technical, policy and public involvement skills to address watershed and water quality challenges throughout the Pacific Northwest. She has analyzed environmental conditions and developed numerous shoreline, watershed and water quality plans for local and state jurisdictions. 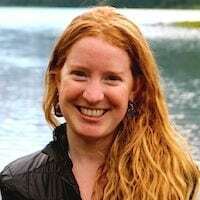 Marlies has an undergraduate degree in Environmental Engineering from the University of Arizona and a Master’s in Environmental Studies from the Evergreen State College, where her thesis analyzed the dual mandate of National Parks in Alaska to meet conservation goals and support the subsistence practices of local people (focus was Wrangell-St. Elias National Park). Mimsi spent three glorious summers as a teenager at a camp in Estes Park and became hooked on the West. Years later, after many western vacations, she and her husband moved their family to Denver, where they didn't know a soul, and were “home” from day one. Mimsi has a B.A. in English Literature from the University of Wisconsin. As a journalist, she worked with Wolf Blitzer on a national, Middle East newsletter and with Martin Agronsky on his nightly, live PBS show. She was a staff writer for Parent and Child Magazine and The Baltimore Jewish Times and a freelancer for The Washington Post and other publications. Mimsi was Associate Director of Development for the D.C. Sidwell Friends School and Associate Director of Development and Alumni Affairs for the Kent Denver School in Englewood, Colorado. Following that she owned and operated a gallery of international crafts. Mimsi spends summers in Frisco hiking, biking, gardening, painting and expanding her repertoire of vegan recipes. She serves on the board of CO-Force (Coloradans for Fair Rates and Clean Energy), a non-profit that promotes renewable energy and works to end the use of fossil fuels. David was born and raised in the rural Catskill Mountains of Upstate New York. 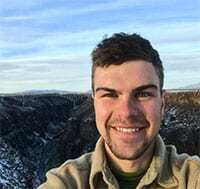 Prior to attending college, David spent summers traveling the United States to study the geology of National Parks during summer field study trips led by his father, an adjunct professor of geology for a local college. His passion for protected spaces and wilderness led him to earn a B.S. in Natural Resources and a M.P.A with an emphasis in public lands protection from Cornell University. During summers between college semesters, David worked as a Park Ranger Naturalist at Rocky Mountain and Grand Teton National Parks, where he shared his passion for natural history with countless visitors exploring Rocky Mountain landscapes. 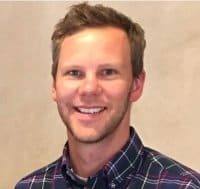 After completing graduate school, David worked for the National Parks Conservation Association and The Wilderness Society before becoming a partner in an education consulting firm. David lives in Durango, Colorado where he finds peace in the mountains and forests of the San Juan Mountains. Cathy works with young people to connect them with wild places. She is an outdoor and environmental educator of distinction. Cathy has her BA from the University of Texas at Austin, her MA from the University of Texas El Paso, and environmental educator training from the National Outdoor Leadership School. For over 25 years she has been a classroom teacher. Presently, as a science teacher at Albuquerque’s Bosque School, she has built and implemented curriculum based on the landscape at hand. Her students participate in citizen science programs where their research informs habitat management. Each year she spends weeks leading students into wilderness. Cathy has also worked extensively as a lay leader within the Episcopal Diocese of the Rio Grande with youth programs, capital fundraising, and social justice and inclusivity issues. For Cathy, the inseparable goals of a healthy environment and healthy human community are central to her life’s calling. At home in Albuquerque, Cathy’s family, her pair of running dogs, a flock of chickens, a much loved garden, the Sandia Wilderness and the Rio Grande keep her connected to that which matters. 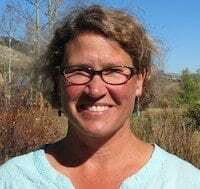 Anne Butterfield, of Boulder CO. After early years spent in a range of of outdoor environments in the east and west, Anne developed a passion for high altitude. 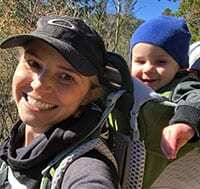 Soon after graduating from Occidental College, she grew through expert skiing, Colorado Outward Bound School, search and rescue work, and serving an archeological surveyor for the US Forest Service in New Mexico. Anne then co-managed Adventure 16 in West LA, a 10,000 square-foot outdoor retail store. Returning to Colorado, she completed a Masters in Creative Writing at CU Boulder and served with Colorado’s 20th Judicial District Attorney’s Office as a victim advocate. Then, for seven years she served as an editorial adviser and opinion columnist at the Boulder Daily Camera, where her writing explored Colorado energy policy and informed Boulder voters through three elections leading to the city's decision to separate legally from Xcel Energy. She comes to Guardians also having served on the board of Clean Energy Action, a non-profit dedicated to educating elected officials, regulators, and the public on the risks of our nation relying so heavily on the faltering coal industry. She is an avid pet & wildlife lover and a big fan of renewable energy having learned so much from her husband Sandy who spent his career in wind energy particularly at the National Renewable Energy Laboratories.